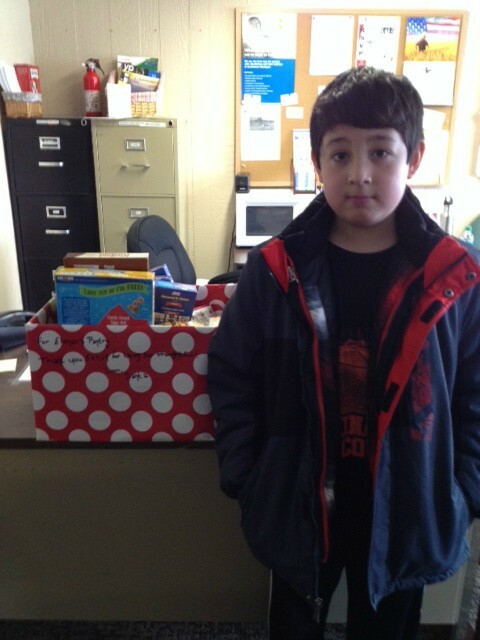 Ethan Oh asked Santa for food for the pantry for Christmas. Santa brought him this box that said, "For Eleanor's Pantry. Thank you Ethan for being so thoughtful! Love, Santa"
So this little boy came in to Eleanor's Pantry recently with his Mom bringing his box of food.